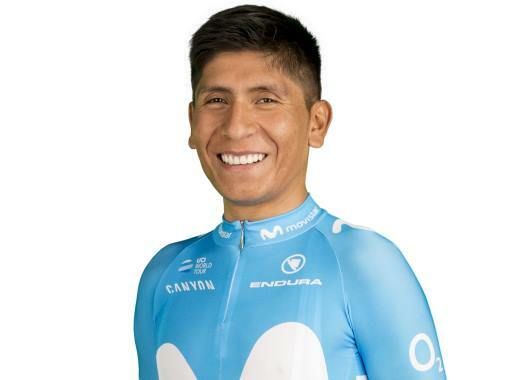 Movistar's Nairo Quintana crossed the finish line at the Alto de la Covatilla in the fifth position, at two minutes and 40 seconds of Ben King, winner of the ninth stage of the Vuelta a España. The Colombian tested the legs of his rivals at the last kilometres of the stage but crossed the finish line with the favourites for the final victory. "I felt good and the team was always really focused on working well for us during the stage," he commented at the finish line. "La Covatilla turned out to be a very particular climb: there were strong headwinds, you could stay on the others' wheel without any effort, and the high temperatures all day affected several riders." The favourites had a resistance fight on the way to the top of the mountain and each of them could the strengths, and weaknesses of the others. "We saw little gaps forming up, against rivals that matter much to us GC-wise, and those little moments when we struggled during the ascent ended up being not so bad thanks to Richard (Carapaz)’s impressive job. He really helped us a lot," Quintana commented. "(Simon) Yates will surely try to defend his leader's jersey in the upcoming week, while we must look for the next day when we can take our chances and gain some terrain."